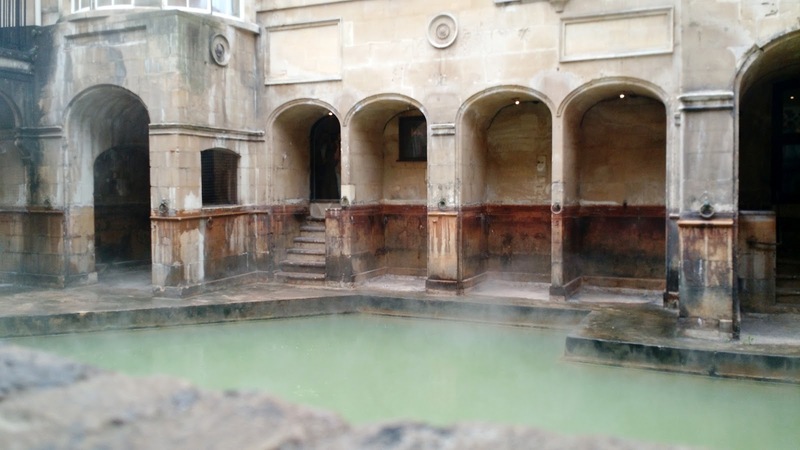 Hello, Wild Things: Adventures in England: Bath! Last month my husband and I got a chance to go visit my sister... in ENGLAND! I had never been out of the country before, so this was a BIG DEAL for someone with huge travel dreams. 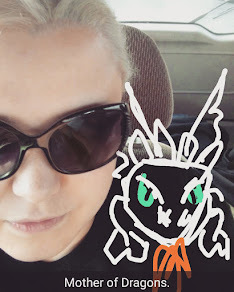 I wanted to wait a while before I did this post, because in the aftershock off the trip the only thing I could remember was how insanely stressful it was (we learned a lot about how to do the money thing overseas). But now I've had time to decompress, and I'm looking through these pictures like "um, so... we're going again, right?" I'm going to split these pictures into a few different posts (because of COURSE I took a billion and a half of them), and I'm going to start out with pictures of the place we stayed in the longest, (and, in the end, my favorite of the places we went) Bath! 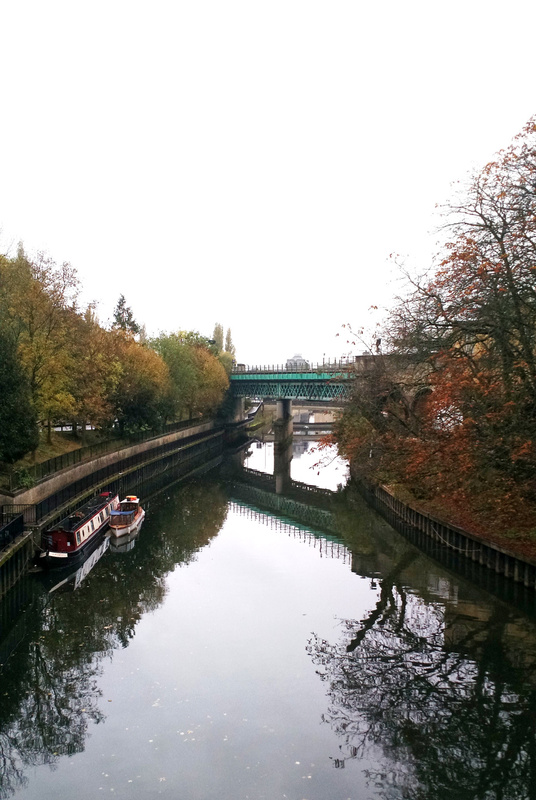 Overall thoughts about Bath? GORGEOUS, but expensive. 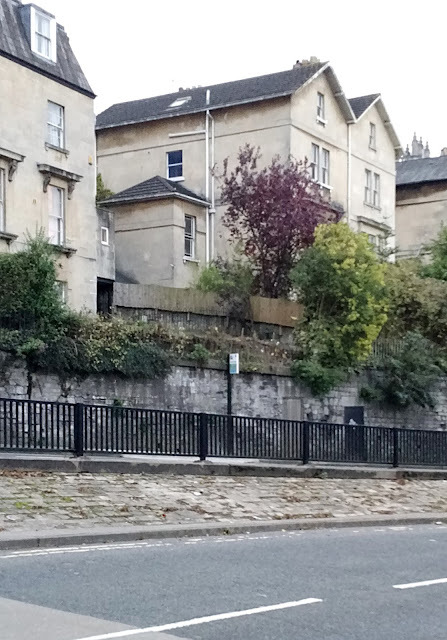 We stayed in these great apartments that were a block away from the train and bus station, a couple of blocks away from the Abbey and the Roman Baths, and literally right behind a huge shopping district. Like, there were two H&M's within a block of us. And a Primark, which was an insanely affordable shop my sister insisted I go to that I instantly fell in love with. If this sounds like the kind of place you'd like to stay, check out the SACO apartments on St. James Parade. They were a splurge, but we loved them. As far as things to do, our time was really limited so we had to prioritize. We knew we wanted to see the Roman Baths and the Jane Austen Center, and my sister suggested the Bath Abbey, so we took a "tourist" day and went to go visit all those gorgeous sites. I actually don't know if gorgeous is a big enough word to do these places justice, so I'll just let these pictures talk for me. 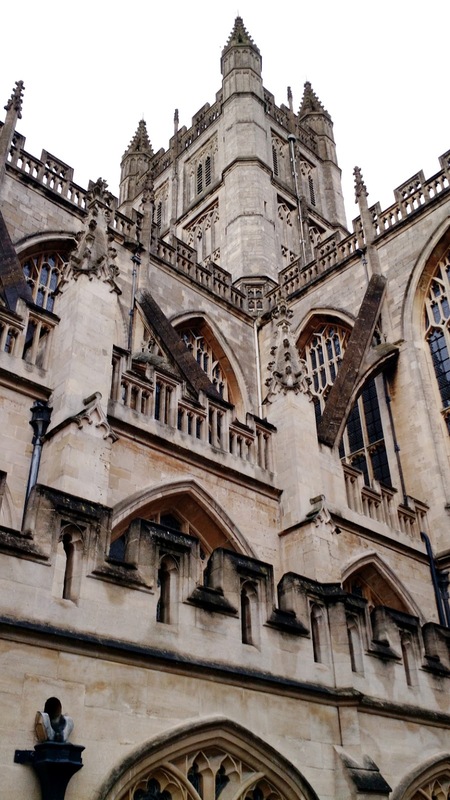 The abbey was one of those things that just kind of gracefully loomed over Bath, so I have a ton of pictures of it. I couldn't get over the gothic architecture. The details made me gasp more than once. 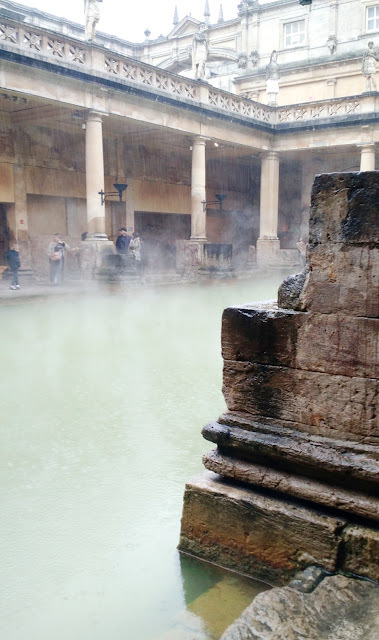 The Roman Baths were mind blowing for me because they were the oldest structure I've ever been near, let alone in. It was beautiful there, almost soothing. At the end they offered some of the water from the baths to drink... it was like I was drinking... a key? Super metallic and not yummy at all. 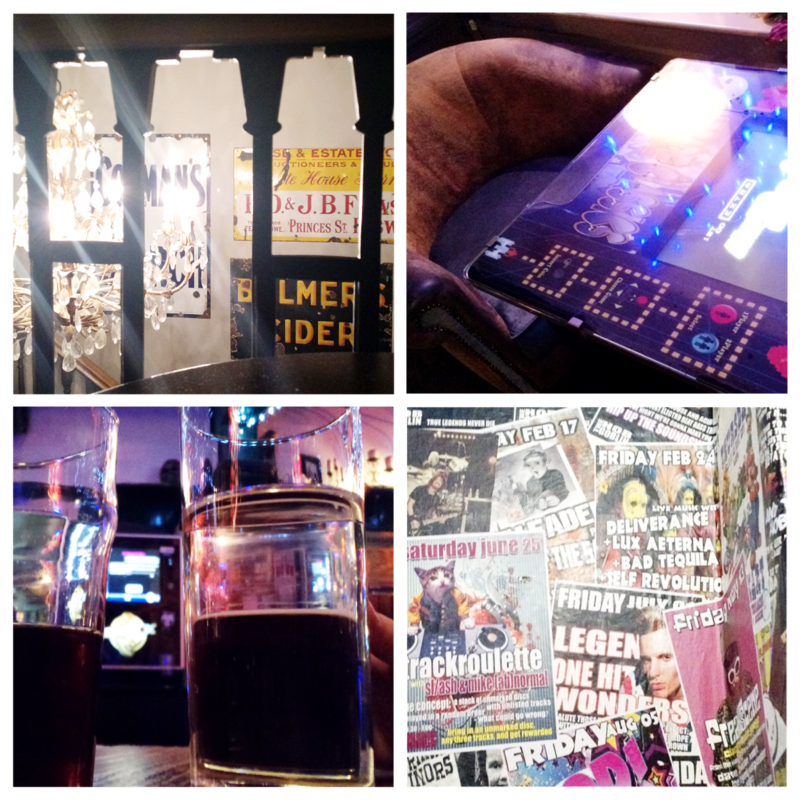 We took the time to do a little pub crawl one night, and it was one of my favorite parts of our trip. I get so caught up in the things that I just HAVE to see that I often forget to just let myself wander, but our little pub adventure helped out with that. We ended up in some beautiful places. The drawing in the top left corner was actually a gorgeous wallpaper that was hand painted. It's also the bar from the second picture on the top. 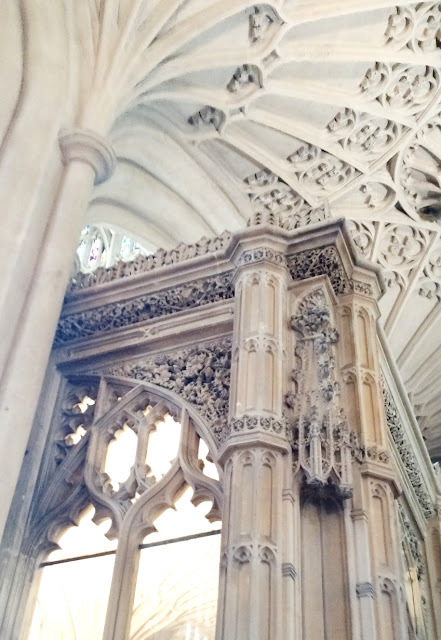 See what I mean about gothic details? 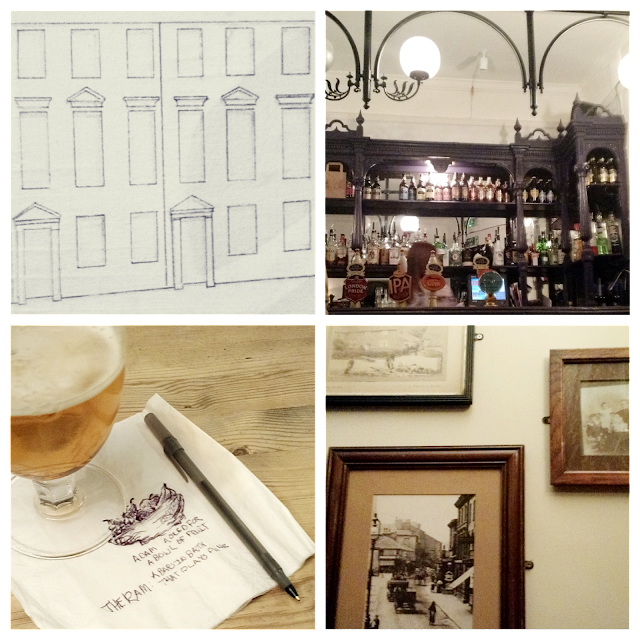 The second row of pictures was a pub by my sisters house, and it definitely had the most "pub" feel to me. We went there later on in the night because when we walked by the first time there was a match on and it was super crowded. 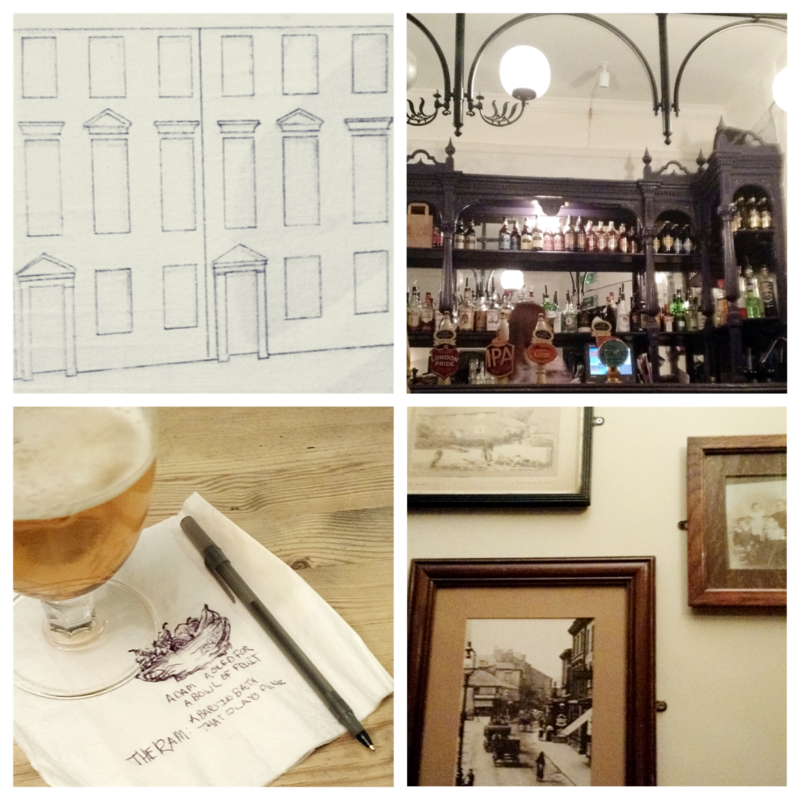 The third row of pictures was from my favorite place in Bath, a restaurant and pub called The West Gate. The decor was very eclectic but still very trendy. The bottom set of pictures is from a pub that we wondered into last. They gave us dark beer and were playing rock music, so it was the perfect end to our night. 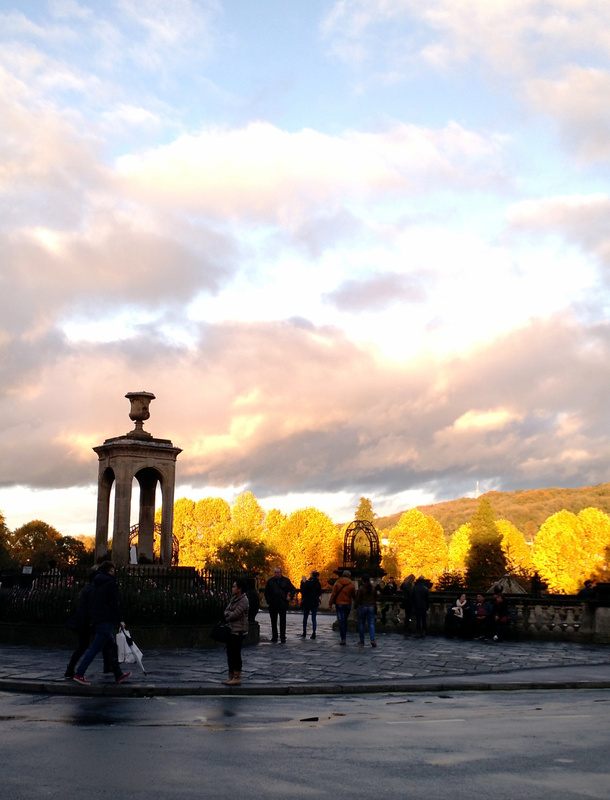 Besides all the typical touristy stuff, Bath itself was so pretty. I could have spent weeks there. My sister is so lucky! 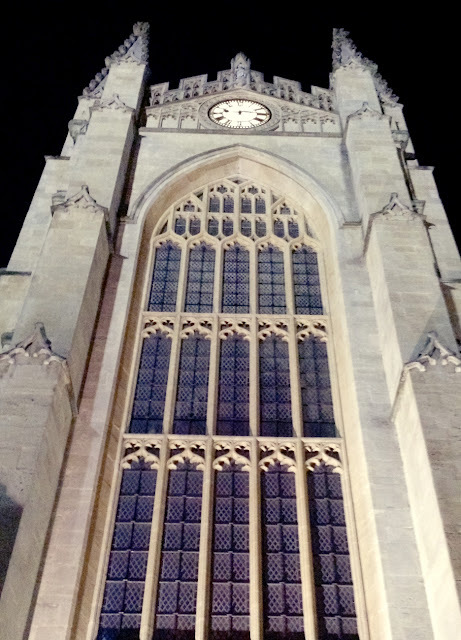 That's it for Bath! In my next post I'm going to go more into the details of our trip, the things I wished we would have done differently, and what we saw in London (spoilers: a bus station. We saw a LOT of that bus station.) Be on the look out for part two!